The completed Buyer or Seller Information Form can be faxed to 478-471-7884 or emailed to LoanPackages@martinwilsonlaw.com. 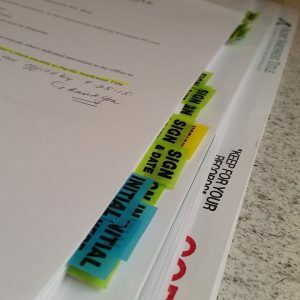 Review an existing Power of Attorney prior to the Closing to verify its sufficiency under Georgia law. The Original Power of Attorney must be brought to the Closing, as it will need to be recorded prior to being returned. In the event any party to the closing is an LLC, a Corporation, a Partnership, a Trust, an Estate, or other entity, additional documentation may be required by our office.